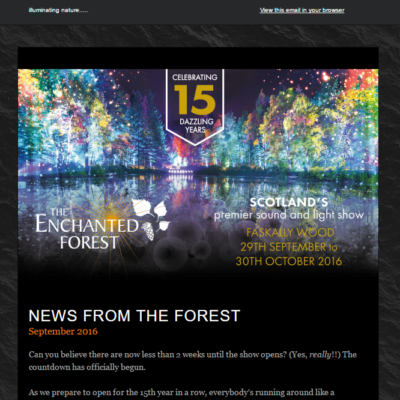 The Enchanted Forest is one of the UK’s leading cultural events and attracts over 80,000 visitors to Pitlochry every October. 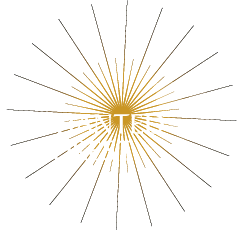 The event exists to help drive tourism trade at a time of year when Highland Perthshire is traditionally quiet. 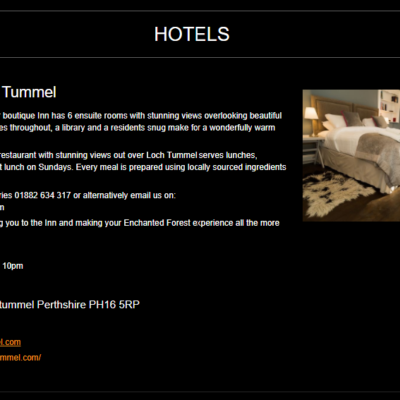 We actively try to facilitate connections between local businesses and our customers, more than 50% of whom stay in the area for at least one night and are pro-actively looking for accommodation, places to eat and things to do during the day. The Enchanted Forest has nearly 77,000 engaged followers on social media who rely on the event to signpost them to places to stay, eat and things to do when they are visiting the area. 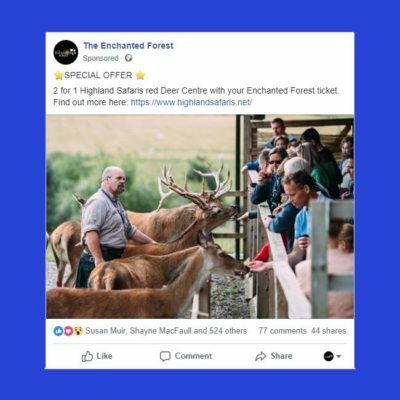 This year, for the first time, we are offering 8 exclusive sponsored posts which will be served via Facebook and Instagram to followers of The Enchanted Forest and which can profile places to stay, eat or things to do in the area during the show. This is an exceptional opportunity to use digital media to reach and engage with our community. **Exclusions: boosted posts cannot be used to advertise events.